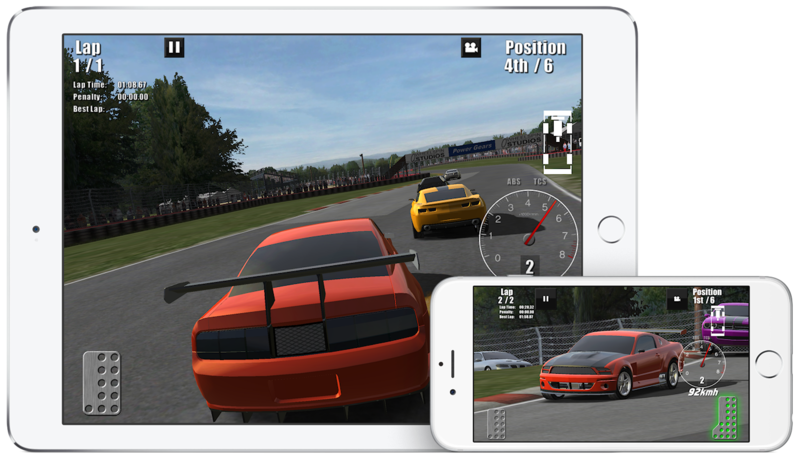 #1 Racing Game on iPad in over 40 countries. Race in high powered V8 muscle cars from classic era to modern day. Highly realistic physics, graphics, sound, car handling and performance set this game apart. Compete in career mode where you can experience a real racing career. Start off with a small amount of virtual credits and purchase a car to enter into organized series events. Win virtual credits from races that can be used to purchase more cars, pay for repairs and performance upgrades. Build your way up to compete in elite series events.